Interestingly, most of the sources get this incorrectly. 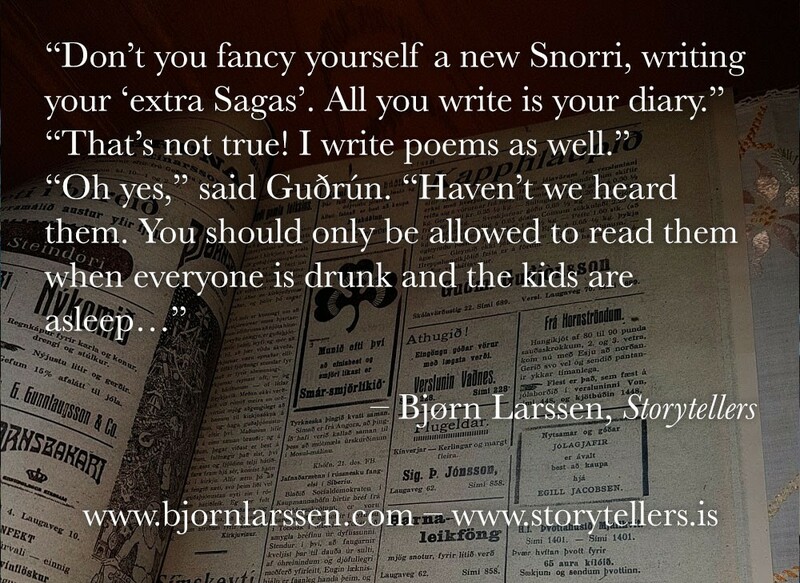 I found myself corresponding with professor Guðmundur Jónsson of University of Iceland, as I have managed to give the entire staff of the Árbærsjafn Open Air Museum a riddle they couldn’t solve – how much would a farm with a forge and not much else cost in March 1920? (You’ll admit that’s a rather precise question.) Professor Guðmundur told me that most people, even those who are well acquainted with Icelandic history, believed that the prosperity lasted longer, but in fact it took a few months in the winter of 1919 for the economy to nosedive. He also told me that at this point the price would drop to approximately five thousand kronur. It was one of those things that nobody but me would likely notice, but I would know it was there and it would bug me, possibly, for the rest of my life. I have also acquired the information that exactly 1,245 Icelanders, Icelandic Americans, and Icelandic Canadians were registered as soldiers during WW I. 989 fought for Canada, 256 for the United States. Make sure not to forget this very important information which is going to come useful in your daily life. When it came to education, Iceland was one of the most advanced countries in the world. This was largely due to the pressure from the Church. Every household needed to have a Bible. If you truly couldn’t afford to purchase one, you would receive it. The price was having to learn the Catechism by heart. In order to do so, you needed to be able to read. 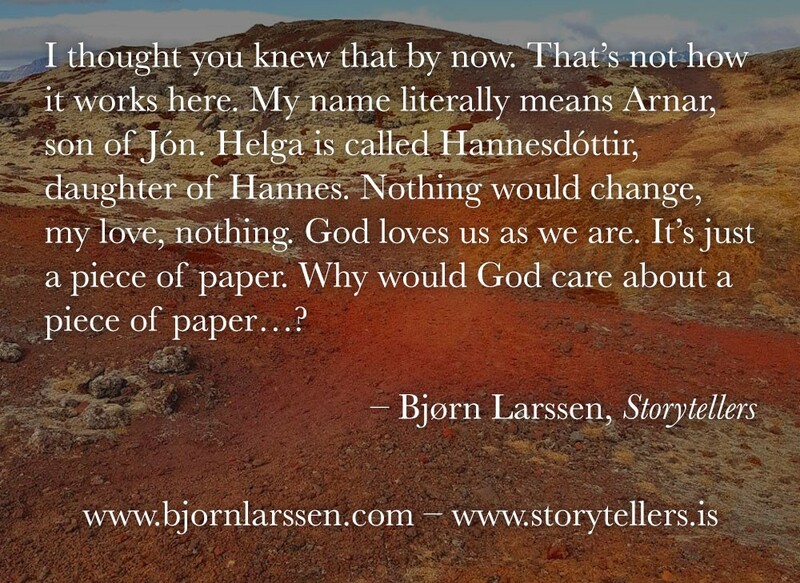 But Icelanders didn’t just read the Bible, of course (especially as their relationship with the actual religion was… complicated). Once winter arrived, the days shortened to a few hours, and most people sat at home with not much to do but spin wool and make sure the livestock survived, they needed stories. (Hence the title of my book.) They would read anything and everything – and write. Most educated people wrote diaries and autobiographies. None of them would be published while those people were still alive, but some would eventually see the light of day. Some people wrote dry notes about the weather and the health of their sheep. Others noted “our daughter died today” in the same tone as they would register the death of a cat. Yet often when someone well-known and friendly had died, his fellows would put together a sort of autobiography to commemorate the person. If the person was a writer, their articles would be collected and published in some form as a collection of their work. There are two stories being spun in Storytellers. The older one, so to say, takes place in the 1880s. For this one I needed to research the life of an Icelandic pastor and to my surprise I found out that the actual religious matters placed quite low in the hierarchy of things that had to be done. As a rule, the local pastor would be a member of the communal committee, participating in various informal activities within the parish. This involved being part of various committees – health, planning for the town, food rations. On the brighter side, pastors would also play cards, write for magazines, take care of communication, mostly in form of letters going back and forth. They did research, often related to nature, documenting new species of flowers, chronicling the lives of their parishes. They travelled to terrorise, oops, motivate the children to learn their Catechism. It’s difficult to imagine they had any time left to write sermons, not to mention delivering them, but it wasn’t a major problem. Church on Sunday was considered to be largely a social occasion – as Helga Maureen, the historian from Árbærsjafn put it, the church was a good place to meet “marriageable people”. Children duly memorised the Catechism. It was a competitive sport, as the pastor would put the children in line, starting with the smartest and best educated. Obviously, finding themselves at the end of the line was shameful both to parents and their kids. Nevertheless, memorised or not, children – and then adults – tended to think about Catechism and Bible stories as, well, stories. The Old Testament was more popular, because it was more violent and almost – almost! – as good as the Sagas. 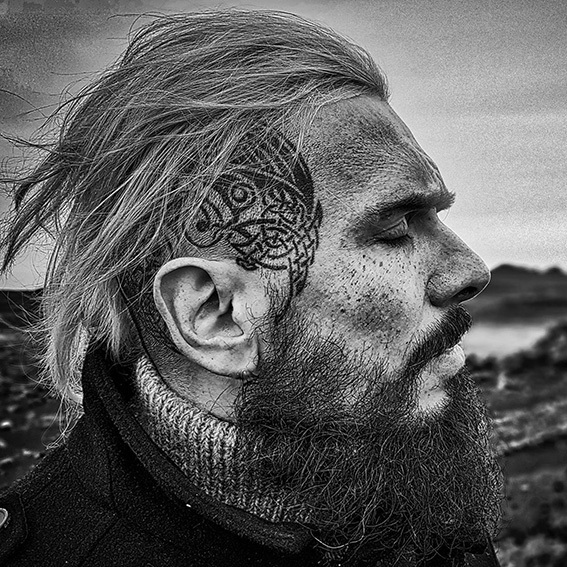 Many Icelanders didn’t really see much difference between the two. Bible was something to read. Sagas were something to read. And, in 1920, Shakespeare, Wilde, other literary classics from abroad appeared in stores. Until Iceland’s contact with the world spread past exporting the talented youth to Copenhagen and buying wine from Spain, Icelanders lived rather relaxed lives when it came to institutions such as marriage. This part gender equality was not something that needed to be discussed, even though the women were not allowed to vote until 1915, when only those above the age of 40 were granted the right to vote. The man was the head of the household. The woman was responsible for the household. Neither of them spent much time together unless they were rich enough to be independent, which at the end of the 19th century wasn’t something most could say. In 1894, the first suffrage organisation in Iceland – Icelandic Women’s Association – was formed. But this is not what I want to talk about, as my book is hardly political. My interest lay mostly with relationships. As receiving a permit for marriage depended on possession of enough land to feed a cow, a sheep, a boat, a set of tools (depending on what the couple/person did for living), the average age for Icelanders to get married was over 30. This, of course, didn’t mean that all of them remained virgins until turning – say – 35. 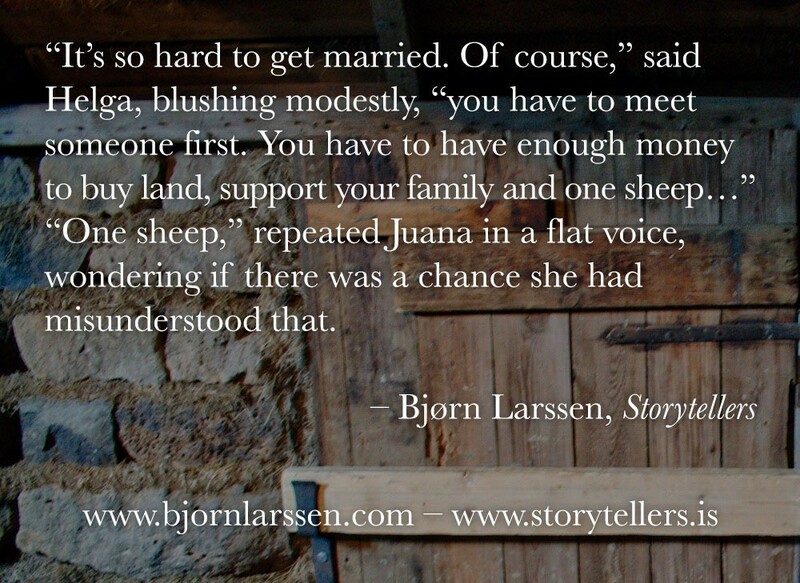 One of my characters gets married (sort of) in America, and upon the couple’s arrival in Iceland one of the locals sighs wistfully, wishing she, too, could already be married before turning 20. Not necessarily because she had a need for a husband, but because in a certain way it was a symbol of status – we’re rich enough to be married. Not to mention the (hopefully) ability to leave the parents’ house, become as independent as possible, and have someone at hand who could work when the other got sick. In 1920, the modern ideas arrived in Iceland. Curiously enough, the modern ideas made the society much more conservative. In connection with the sudden economical boom, women were now supposed to stay at home and raise kids, while the men brought the proverbial bacon home. All of a sudden, women who aggressively pursued their goals could give up their hopes of getting married. At the same time the suffragettes fought successfully to grant women the right to vote, the social roles of both genders were changing in the exact opposite direction from what you would expect. No knowledge is useless, you could say, although I wish I remembered more of what I’d learned at the university and less Paula Abdul lyrics. In the first drafts, I did what’s called info dumps – ensured the readers would notice how smart I was and how much I have learned. As the work progressed, I kept removing more and more, understanding that similarly to my old job in graphic design the rules needed to be learned in order to break them knowingly. When I was designing a billboard, it didn’t come with a second billboard explaining the choice of typefaces, colours, the combinations of images and text, and so on. Once the book is released on March 28, 2019 (not 1920), the book’s website, www.storytellers.is is going to feature many more articles like this one. You will be notified in advance, especially if you subscribe to my newsletter. What could be more exciting than reading about Icelandic adventures with prohibition (did you know beer remained illegal in Iceland until 1989? ), turf houses, the Independence movement, the life of fishermen, and winter-gatherings? Only my novel itself, that’s what! Main photo: a luxurious (seriously) 19th century dwelling. I’m so looking forward to the book! 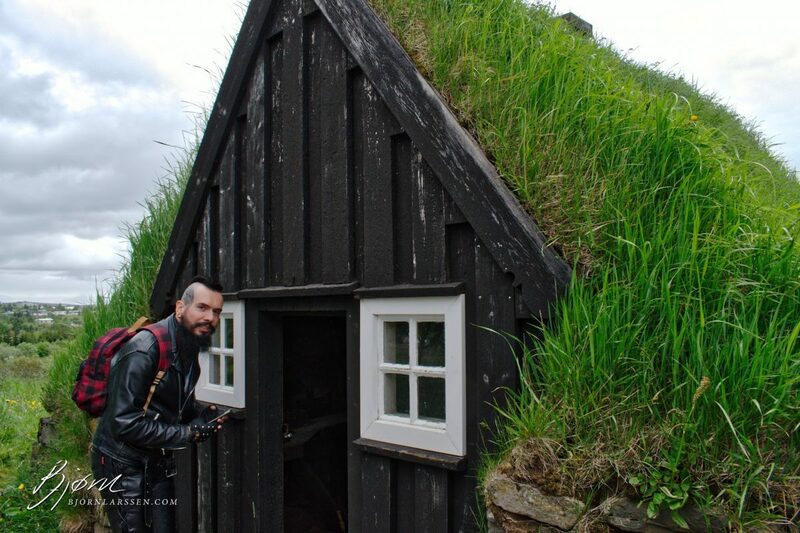 I’m also interested to learn more about Icelandic history and culture. Maybe you already have, but can you include phonetic pronunciations of some of the Icelandic names & words? I’m sure a lot of us primarily English-only speakers are slaughtering how to say the words! Absolutely! I’m planning that for the next visual newsletter. That’s also why I intend to narrate the audiobook myself. Soooo can’t wait for this book!!! I can’t wait for the audiobook!! !